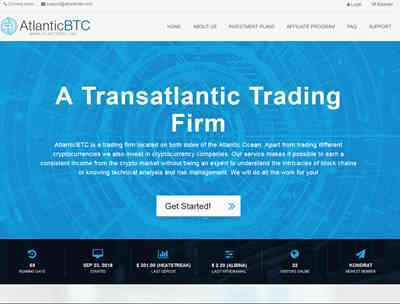 AtlanticBTC is a trading firm located on both sides of the Atlantic Ocean. Apart from trading different cryptocurrencies we also invest in cryptocurrency companies. Our service makes it possible to earn a consistent income from the crypto market without being an expert to understand the intricacies of block chains or knowing technical analysis and risk management. We will do all the work for you!